I’ve got good news and bad news – but mostly good news. 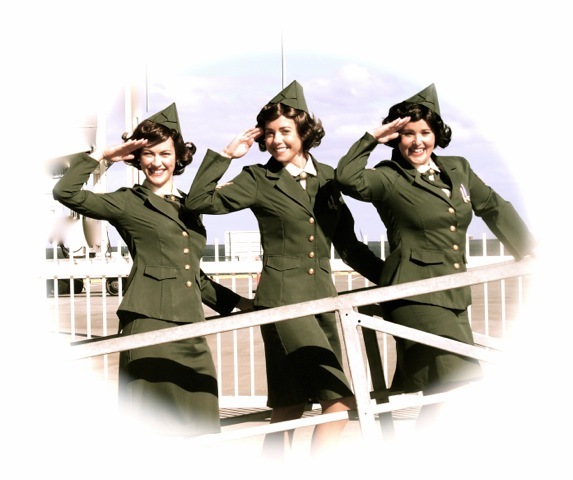 So let’s start with the good news… The talented musical trio, THE PACIFIC BELLES, have been chosen to represent Australia in the upcoming World Championships of Performing Arts in LA. They’re a brilliant act who some of you may remember, also starred alongside Fletch in the making of a Christmas song last year, which proved a hit in the UK. Now the bad news is there’s a chance The Pacific Belles might NOT be able to take up this opportunity of a lifetime – and it all comes down to sponsorship. Like athletes who need support to compete on the world stage, so too, do our most talented performers in the arts arena. The official World Championships of Performing Arts celebrates its 18th year, in July this year and is universally cited as the one-and-only official global event for performers and entertainers both amateur and professional. It’s pretty much the Olympics of the Performing Arts. Each year, more than 75 scouts and national directors scour the globe for outstanding talent to take part. More than 75,000 applicants from 50 countries auditioned to participate in this year’s event, which will be staged in West Hollywood. 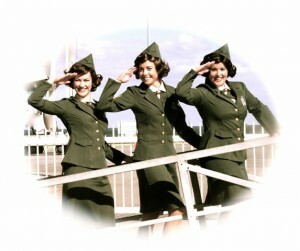 Q: How did the Pacific Belles come to be chosen to represent Australia in the World Championships of Performing Arts? LAURA: Last year we were very lucky enough to be asked to be the support act for Tyla Bertolli from The X Factor. We got to perform at her single launch for her song ‘Burn’ and she suggested that we apply to be contestants in The World Championships of Performing Arts. Tyla is also a scout for WCOPA, she took part last year and did really well from it. We thought it was a huge opportunity so we auditioned, 75,000 applicants from 50 countries later we got picked! Q: How did the Belles form as a group and why the fascination for music from yesteryear? LAURA: The Belles have been performing together for nearly a year now, we formed after I (Laura Monaghan, Manager and soprano singer) set it up and auditioned for other girls to sing with. I grew up with a love and fascination for the 1940‘s and old Hollywood. The Andrew Sisters and Doris Day are my all time favorite. 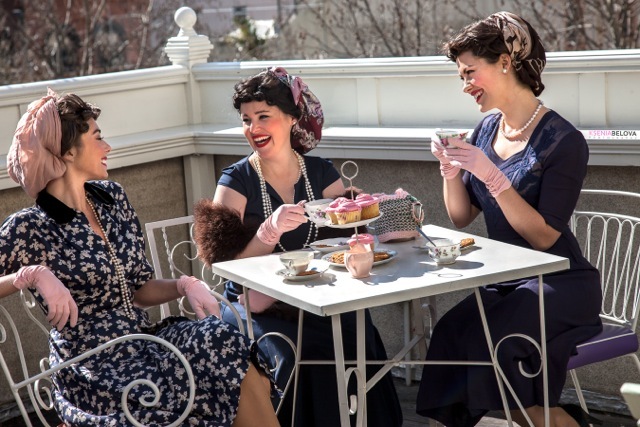 The two other Belles are also obsessed with the fashion and the music of yesteryear and we love the glamour. We joke that we were all born in the wrong era! Q: Why doesn’t the organisation that picked the performers fund the trip to LA? LAURA: Obviously we wish that whole trip was funded but I think that WCOPA rely on sponsors to keep the event going each year. We are currently looking for Aussie brands that would benefit with some international exposure to sponsor us. We would love to be sponsored by a make up or vintage clothing brand. 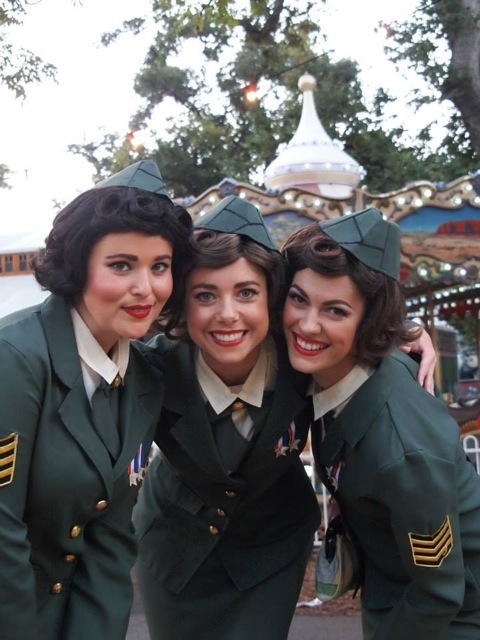 Q: How important is it to you and the Pacific Belles to go to LA? 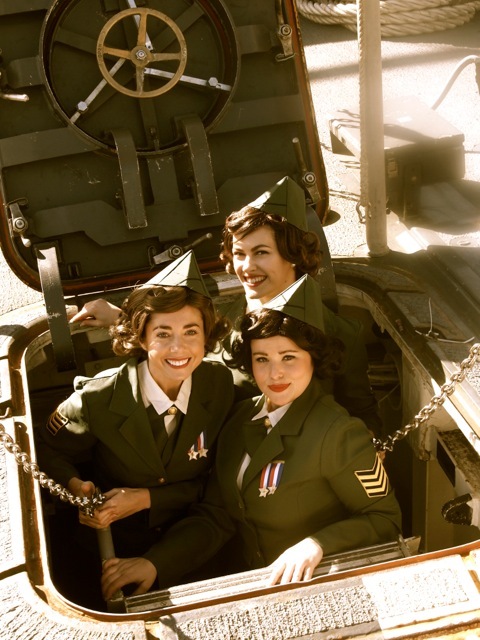 LAURA: It would mean the world for The Pacific Belles to get to go to LA and perform in front of industry professionals. The whole experience to be apart of such a huge competition “The Performing Arts Olympics” as they call it will be amazing. I am extremely proud with how far The Pacific Belles have come in a year and to be asked to represent Australia doing something we love would be an honour. Q: What do you hope to achieve by competing? LAURA: We obviously hope that we will do well from the competition and that we’ll bring back at least one gold medal for Australia. I think that would be an achievement enough. Although saying that we have our fingers crossed that our trip to the states could open a few career doors for us too. Q: Why did you decide to go ahead with a ‘Pozible’ crowd-funding campaign? LAURA: As well as a few main sponsors we need to raise some money for the expenses of the trip and crowd funding seemed like the way forward as we have a lot of support from our friends and family and also fans. Pozible is a really easy to use fund raising site and offers rewards for pledges. We have rewards from just $10 and every little bit helps but we can’t believe it – someone has already pledged $1000 to have us perform at their event! Q: Is the fund-raising campaign a lot of work? LAURA: Yes, it is a lot of work. We can only hope we reach our target of $10,000 on Pozible. We have decided that in return for your pledges we are going to give back to the community. When we reached $2000 we performed at an Age Care home. Next milestone $4000, we will go and perform for children at a children’s hospital. These are our most rewarding performances. The other day we met a lady who was 102 years old! We’re also planning a fund-raising event next month. Q: What are your long-term goals for the Belles? LAURA: Our long term goals for The Pacific Belles are to keep spreading our sound around Melbourne and to tour Australia. We also hope to record an album with a jazz band, perform our show on a larger scale and visit other countries – LA being one of them! We wish the PACIFIC BELLES all the best with their fund-raising. Don’t forget, go to this link if you can help – every bit counts! Fletch wasn’t enamoured with the idea either. He even tried fobbing me off with a press release instead! Are you kidding? His own wife? There isn’t a self-respecting journalist on the planet that would do a story on the back of a mere media release. Well, except for the super-lazy and disinterested. I’ve got plenty of faults, but I’m not those. It’s an upbeat, catchy tune that will put you in the festive spirit, plus all the profits from the song will go to a wonderful charity, Blue September, to aid cancer research. 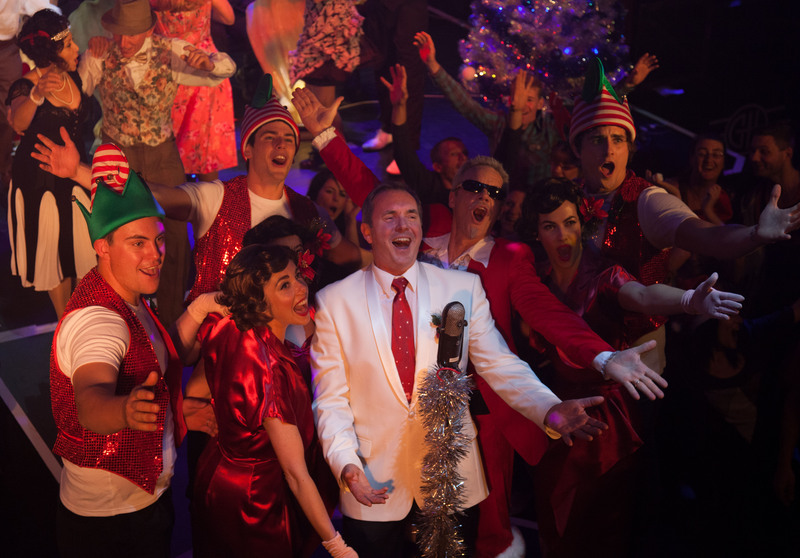 He even called on help from his ‘neighbours’ to take part in the video – with actors and great friends Stefan Dennis, Chris Milligan and James Mason joining in the shenanigans, playing the roles of a rather funky Santa and a couple of cheeky elves. But enough from me. Let’s get straight into that interview. And just for the record, I call him ‘ALAN’, not Fletch in this interview, because I am, after all, a complete professional. JEN: So tell how you came up with the lyrics for your new song? ALAN: I’m happy to, but I’m only going to give you one shot at this because I know you’re very, very unreliable with recording interviews. So have you got a back up plan here? JEN: (laughter) Ah, only my fantastic memory. ALAN: Okay then, we’ll see how you go. ALAN: The lyrics? Oh yes, right. Well, I personally am not a huge fan of the commercialisation of Christmas and so when I came to write a Christmas song, I wanted to do something that was fun but I wanted it to have a little bit of a message as well, and to shift the focus away from present-giving and back on to connecting with the ones you love. JEN: Is this just a really elaborate way of you saying you’re NOT going to be buying me a present this year? ALAN: Yes. Yes, you’re getting nothin’ but a big, big smooch right under the mistletoe. ALAN: Well, there’s plenty of rich bastards out there who will buy their wives diamond hoop ear-rings but that won’t get them anything. And you’re not going to get any. JEN: Well, that’s just mean. JEN: Why were you reluctant to be interviewed by me? ALAN: Because you’re too invasive as an interviewer and you have a reputation for running with sleaze. JEN: Rubbish! Give me an example. ALAN: Your cosmetic blogs. They’re full of sleaze. JEN: Well, what about your song with the line in it about kissing under the mistletoe with a MERRY HO? What does that mean? You want to pash a drunken whore under a green leaf? ALAN: Would you stop wasting my time? JEN: No, this is my interview and I’m running it so just answer the question. Do you really think it’s appropriate we should be singing about drunken whores to our children at Christmas time? ALAN: Well, it’s better to sleep with a drunken whore than a sober one. ALAN: Because they won’t remember you the next day. JEN: Time to move on. So what measure of success do you need from this song to make all the hard work worthwhile? ALAN: I’d like it to have widespread distribution and recognition over the years – not just this year – and that I don’t make a loss. JEN: So you want it to be played in shopping centres, at carols nights etc..? FLETCH: I would like it to be played wherever people feel festive. I think it’s a festive song with a really good hook and I think people will enjoy it. JEN: It’s already being touted by the Daily Mirror as a potential Number One hit. That’s a good start, isn’t it? ALAN: That was very kind of them and if reaches Number One on the charts, I will be sending them a massive crate of French champagne. JEN: Will I get any French Champagne? ALAN: You never said it was going to a Number One Hit. You told me it sounded like a Wiggles song. JEN: The Wiggles are very successful. Do you think it would sell better if you’d made a whole album of Christmas songs? ALAN: And where the hell would I have found the time and money to do that? JEN: Good point. It’s a very catchy song. Do you find it stays in your head? JEN: Does it haunt you? JEN: Do you hate it now? ALAN: I don’t hate it, but it haunts me. And everybody I have played it to has had the same reaction. JEN: That’s called an earworm. Do you know that term? ALAN: I think you mean brain worm. JEN: No, it’s an ear worm. ALAN: Okay, it’s an ear worm. Nice. I don’t know if that’s a good thing or not. JEN: I suppose you have to put the challenge out to everyone.Can you listen to this song twice without it being stuck in your head? ALAN: So that’s going to be the focus of you blog? That’s the end of our interview. I quite enjoyed it. 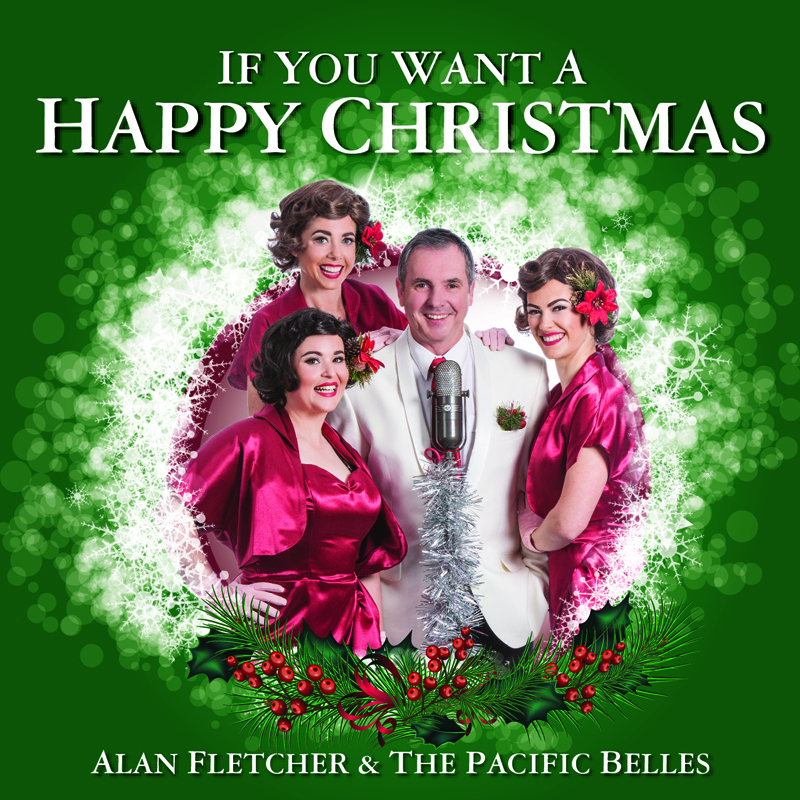 I should also mention that If You Want A Happy Christmas was performed by Steve Purcell’s Pearly Shells, written by Alan Fletcher/Tim Smith, produced & mixed by Robin Gray, and recorded at Allan Eaton Studios in Melbourne, Victoria. So why not buy it today, help Fletch reach Number One on the charts and help a great cause at the same time? Oh, and let me know if you DO think this song really is an ear worm! I’ve had to endure my husband having many relationships with different women over the years. Of course, he’s had his on-screen Neighbours wife, Susan, for more than 18 years and that’s been easy because Jackie Woodburne is such a wonderful human being and good friend. 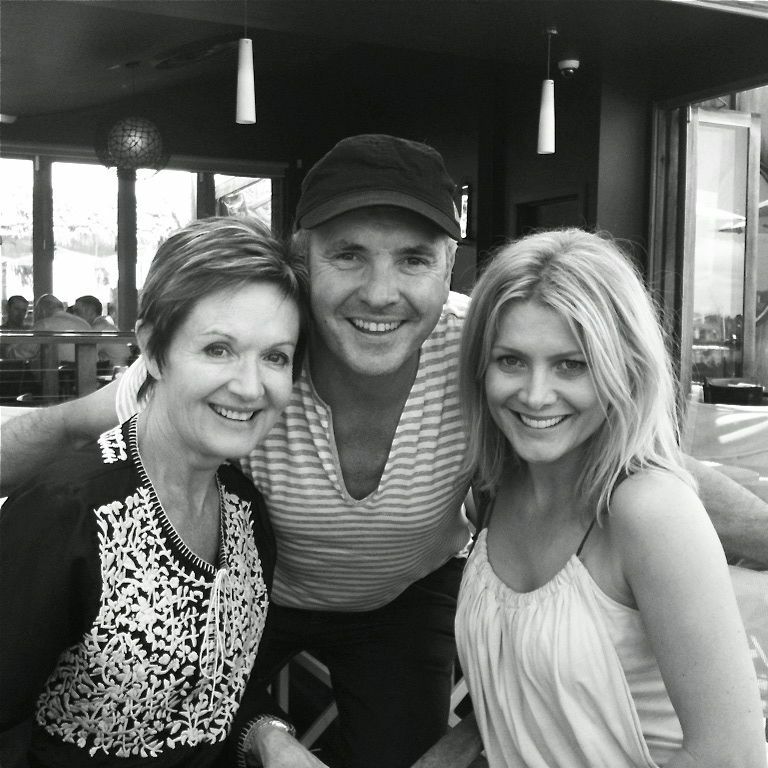 Then there was Nicola Charles (Sarah) and Natalie Bassingthwaighte (Izzy) who were love interests on the show for a spell and also both gorgeous, so I can’t complain. Natalie has also become a close pal. 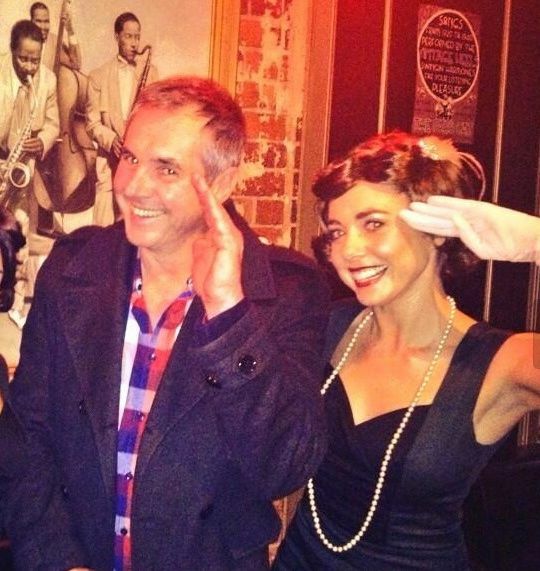 Alan first met The Pacific Belles when they came along to a regular gig where his band Waiting Room was playing at The Elephant and Wheelbarrow in St Kilda. From there, Alan learnt about their unique musical style and plans for a collaboration grew. You see, The Pacific Belles aren’t any old girl group. 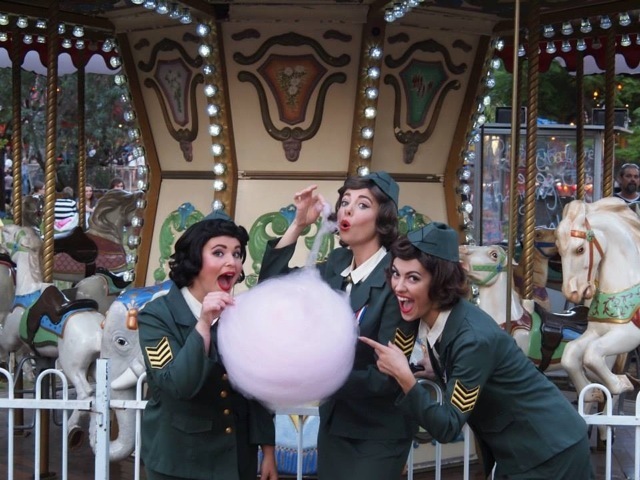 They’re a retro swing trio that emulates the harmonies of The Andrews Sisters from the 1940s. 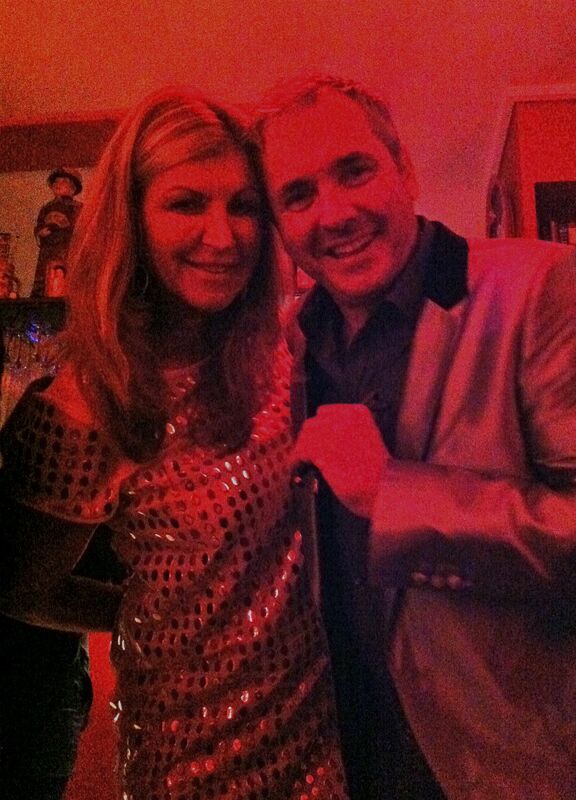 We went along to The Paris Cat in the city one evening to see them perform and were blown away. 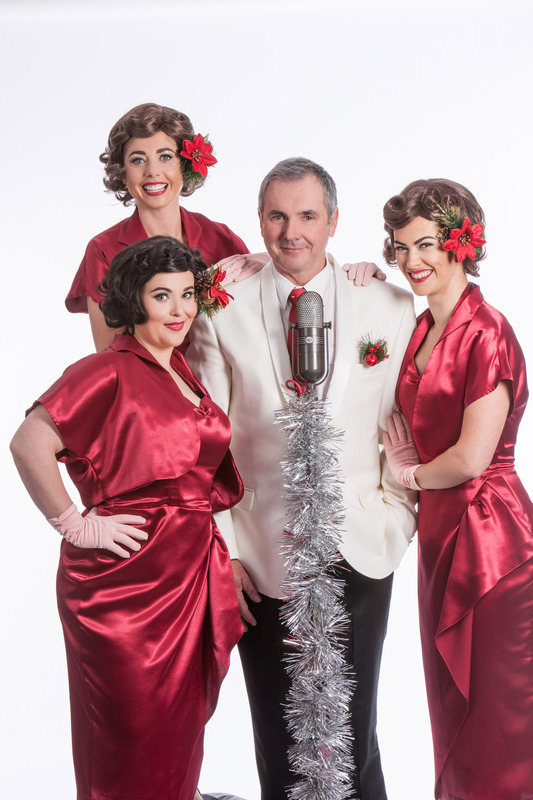 Not only is their repertoire tight, pitch perfect and entertaining – they mix up the old with the new – even singing a jazz influenced version of Wonderwall. Impressive. They’ve already built up quite a following in Melbourne – playing at functions, popular venues, weddings and events. Tonight they’ll be performing at the launch of Melbourne’s Fringe Festival with shows booked during the festival as well. They make a good team, right? 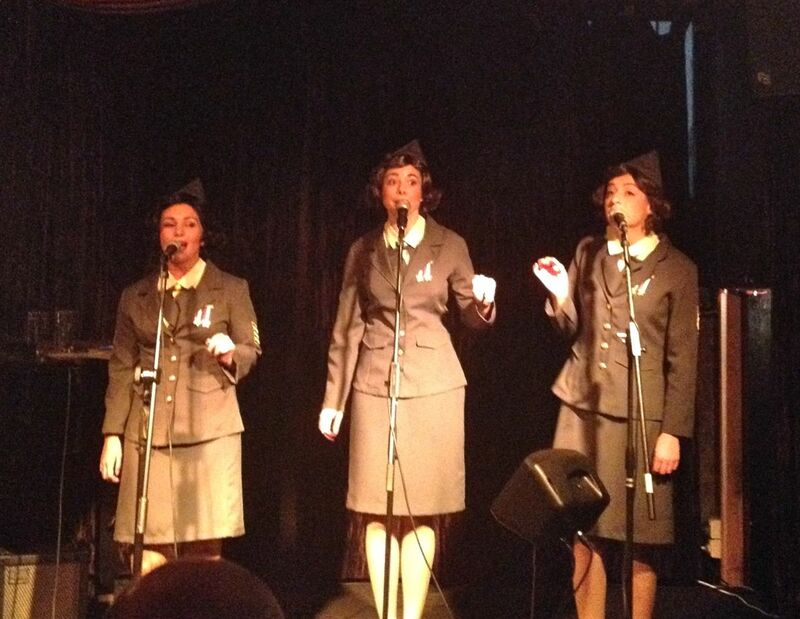 Oh, and the Pacific Belles will be back at The Paris Cat in November. In the meantime, they’ve also got an album and video clip to finish. Ultimately, they’d like a hit song in the UK charts. I can’t wait to hear the finished product!